Residence Inn Vancouver is committed to green actions. The extended-stay hotel’s climate smart practices have led to it being named one of only five Green Key Global hotels to receive Five Green Keys in Vancouver, and to receiving TripAdvisor’s Green Leader Gold Level. 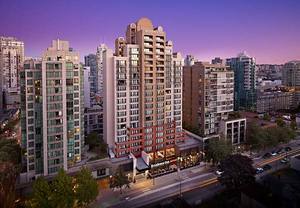 VANCOUVER, BC--(Marketwired - Oct 9, 2015) - There's no doubt climate smart destinations are the future of travel, and the Residence Inn Vancouver is making its commitment to the cause known with the announcement of its continuing efforts to focus on green, eco-friendly lodging. The hotel's climate smart practices have led to it being named one of only five Green Key Global hotels to receive Five Green Keys in Vancouver, and to receiving TripAdvisor's Green Leader Gold Level. Most recently, the long term stay hotel measured its annual greenhouse gas (GHG) inventory for the 2013 and 2014 calendar years and is Climate Smart certified again for 2015. 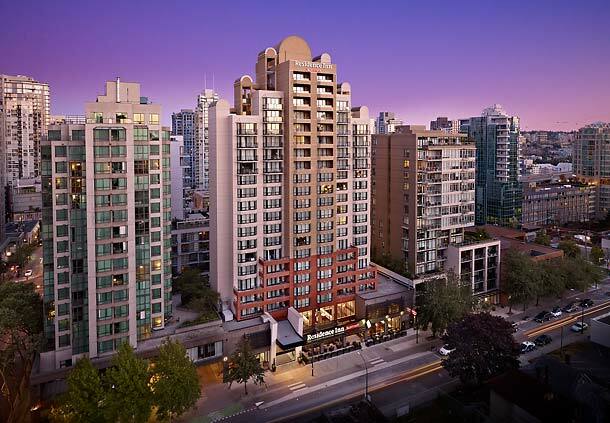 In 2014, the Residence Inn Vancouver Downtown experienced 46% overall reduction in emissions predominantly due to heat. The hotel also achieved a 41% reduction in emission intensity per full time employee. Moving forward, the hotel and its staff would like to minimize their emissions even more by implementing strategies aimed directly at electricity and paper consumption. The hotel's green practices are already extensive, and include a Zero-Waste program throughout the hotel, 100% energy-efficient interior light bulbs, an electronic car charging station in the parking lot, tracking of energy use, a linen reuse program, as well as education for guests on green practices. Its towel reuse program includes housekeeper training and regular checks, and all staff are trained at least once a year in the use of green practices. The hotel also utilizes set thermostat temperatures to save on energy, a preventative maintenance plan, and an energy efficient heating and air-conditioning system. Sensors can adjust the temperature when a guest is in their accommodations, or nearby to help save on energy costs. These and other initiatives, including water conservation efforts have led to the hotel's recognition by the world's foremost green leaders and made everyone at the Residence inn Vancouver pioneers in eco-friendly initiatives. A balanced and energized home away from home, the Residence Inn Vancouver Downtown features all the amenities needed to make time on the road comfortable and productive. Whether a seasoned business traveler looking for corporate accommodations, or a vacationer seeking extra space for the family, the extended-stay hotel's downtown location in Vancouver, BC, its modern amenities and intuitive service all bring joy to the travel experience. Featuring studio and one-bedroom suites with kitchenette and sleeping areas, along with separate living areas for all the comforts of home, the hotel also provides free wireless Internet access so guests can stay connected. Travelers enjoy a warm, inviting breakfast served daily, a complimentary grocery shopping service, impressive fitness center and one of the finest Vancouver hotels with pools. Onsite meeting spaces include an executive boardroom and the hotel's welcoming and elegant Gatehouse which can host receptions for up to 100 persons.